The radiant shape of this green diamond has resonances of the more traditional princess cut diamonds. 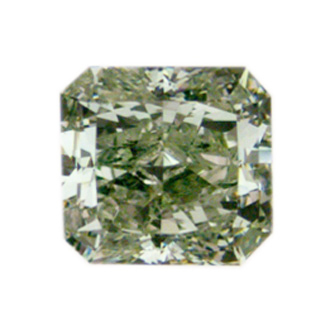 However, its fancy yellowish green coloring imbues it with an originality that sets it apart from other diamonds. At just under two carats in weight, its size makes it impressive in any piece of jewelry.